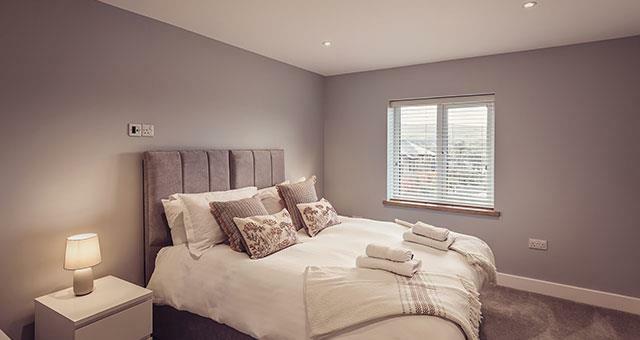 Kirkby Lonsdale Cottages Self-cateringIngleborough House and Pen-y-Ghent House are two luxury, contemporary homes in the centre of Kirkby Lonsdale. Modern in design, each home boasts beautiful modern bathrooms, bespoke kitchens, under-floor heating, comfortable cosy furniture and outdoor hot tubs. Ingleborough House has 4 double bedrooms (3 are en-suite) and Pen-y-Ghent has 3 double ensuite bedrooms and a twin room. Both houses are in walking distance of the independent restaurants, bars and shops of the town. 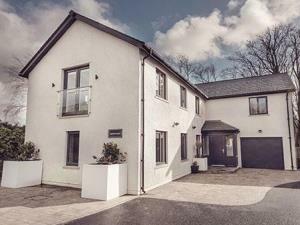 Ingleborough House and Pen-y-Ghent House are two luxury, contemporary homes in the centre of Kirkby Lonsdale. Modern in design, each home boasts beautiful modern bathrooms, bespoke kitchens, under-floor heating, comfortable cosy furniture and outdoor hot tubs. High-chair and travel cot can be provided. From the A65 in either direction, please take the entrance in to Kirkby Lonsdale from the mini-roundabout. Go past Booths supermarket, and at the T-Junction, turn left. After 50 yards, bear left again up the hill (don't follow the one-way back down the hill!) A few yeards up the road is a bus stop. The cottage entrance is the large drive by the bus stop on the left.